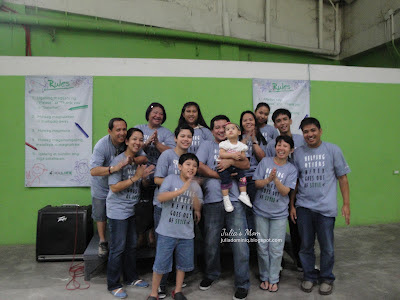 We celebrated Julia's 1st birthday at REAL LIFE Foundation. We sponsored the Saturday feeding program at Victory Pasig Center, Brgy. Kapasigan, Pasig. The program feeds about 120 malnourished children (ages 3-10 years old) every Saturday. The children are organized into 2 batches. 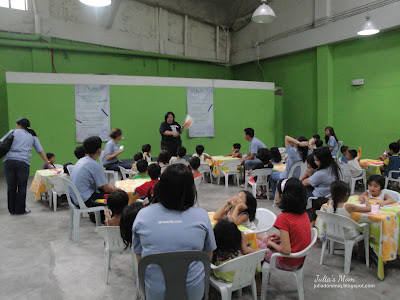 As a feeding partner, we were asked to play games with the children, prepare and serve food and drinks for them and more importantly, listen and talk to them. The 1st batch started at 9am. 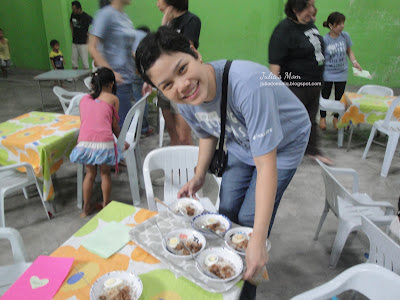 We were late, thanks to the Bourne Legacy shooting at Quezon City that day! Anyway, in preparation for the Big V-Day, instead of playing games, the kids were asked to make a Valentine's card for their parents. 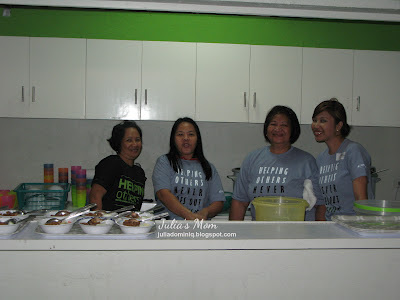 While we were helping the kids create their masterpieces, Mama Cita and her friend, Gloria were busy at the kitchen with the other volunteers. Meal of the Day: Adobo, Egg and Rice! 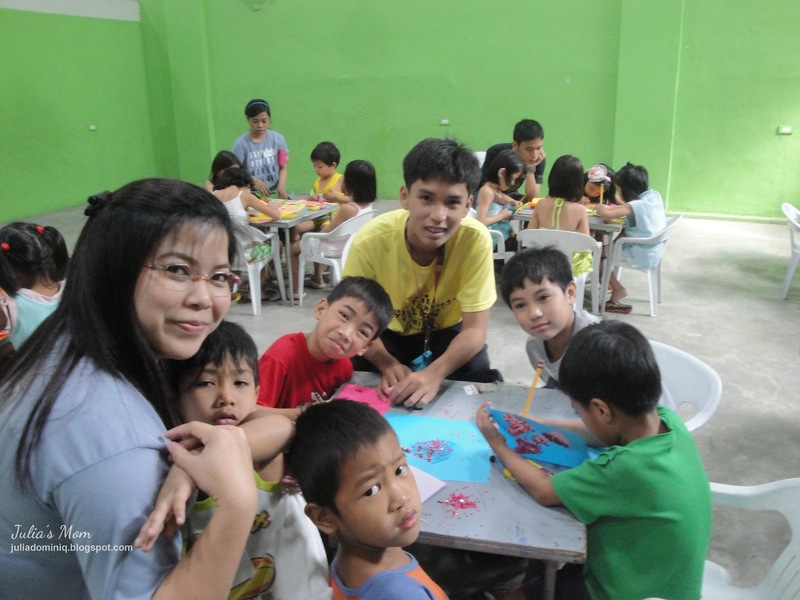 When the kids were done with their V-cards, story telling was up next with Ms. Sony dela Calzada, the Director of Partner Relations. As soon as Ms. Sony declared "The End", the kids rushed to the comfort room to wash their hands... our cue to start bringing in the food! 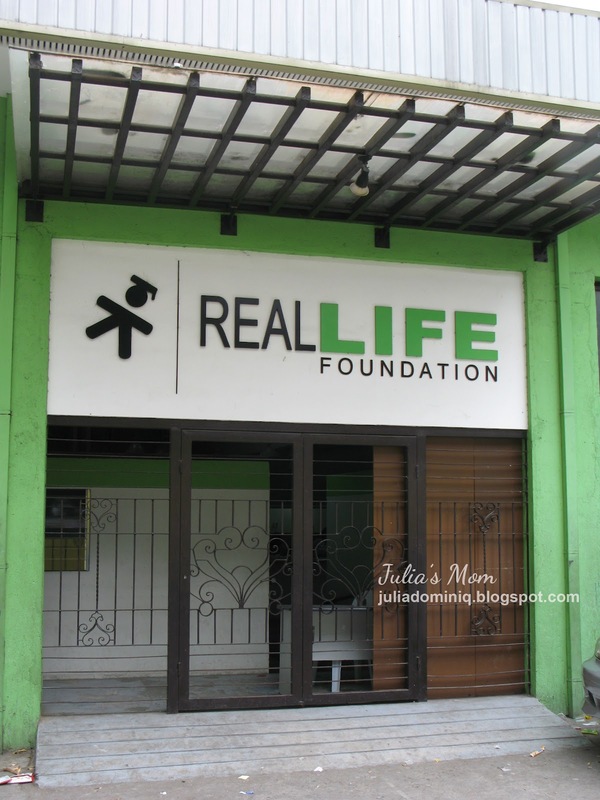 REAL Life Foundation is passionate about providing a better future for underprivileged Filipinos by giving them access to a good education and transforming their communities through community service. 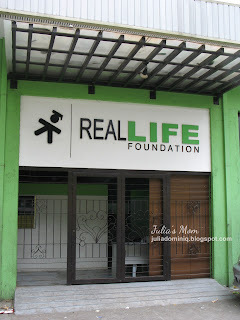 They have 3 programs: LIFE Scholarships, LIFE Coaching and LIFE Line. Check out their website for more information. It was a great experience for all of us. Don and I will definitely make this a family tradition.